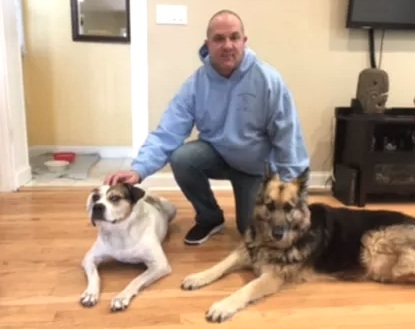 Owner and certified trainer Fred Levi has been working with dogs for over 20 years. In that time he has trained hundreds of dogs and worked with all different kinds of people. Fred has worked with a wide variety of mixed breeds and pure breads from Chihuahuas to great Danes. Specializing in everything from new puppies to older rescues, Fred has helped dogs and families come together to create happy, successful and stress free relationships. We at Who’s the Boss Dog Training understand that dog training takes time and persistence. Let us take the stress off you hands and help you train your dog to be obedient and listen to you.